Rauno’s area of expertise is good governance. He is interested in administrative order, management of public services and public sector staff policy. 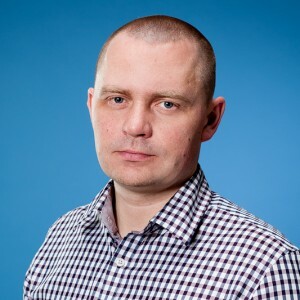 Rauno is successful in administrative tasks as well as being a content expert, for that reason he is valued as project leader and an expert in the subject field. His strengths, when leading projects, are a systemic approach and ability to differentiate important and unimportant details. Rauno’s experience in the subject spans 15 years. When working in the public administration office at the Government Office of Estonia, he dealt with questions on governance and coordinated administrative reform. He worked in the private sector as a management consultant for years, where he experienced creating an organisational strategy and building a management system. Before joining Praxis, Rauno dealt with staff policy and coordinated the training of civil servants in the Ministry of Finance. Rauno has a Master’s degree in public administration and social policy from the University of Tartu and continues with his PhD studies at the Ragnar Nurkse School of Innovation and Governance at Tallinn University of Technology. He has studied as a visiting student in the University of Oxford, where he read public administration and management and worked on his Master’s thesis. Rauno’s research is on quality management in public sector organisations and he has given lectures on the topic, in universities as well as in training and seminars. Rauno likes to take the time to relax by reading and going running in the woods. He is fluent in English and can speak beginner’s level Finnish and Russian.